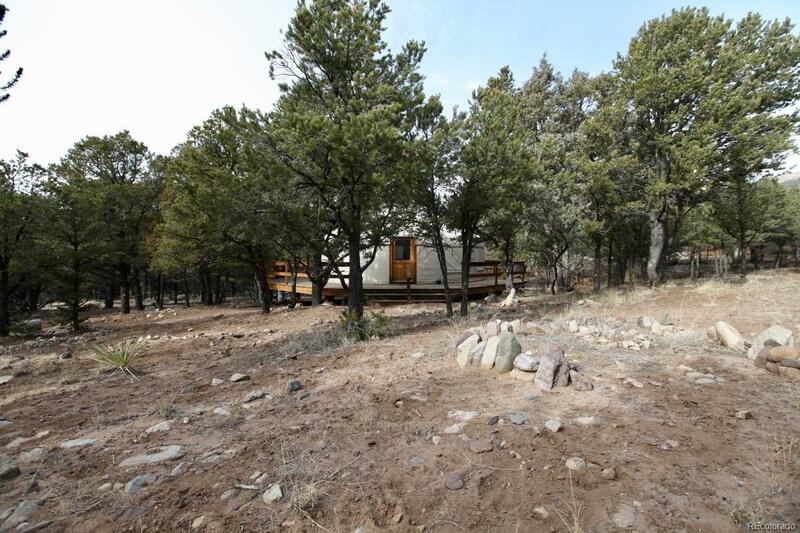 Peaceful and private building site in the Town of Crestone; the perfect place to construct your mountain home. Many pinons, ponderosas and juniper trees throughout. 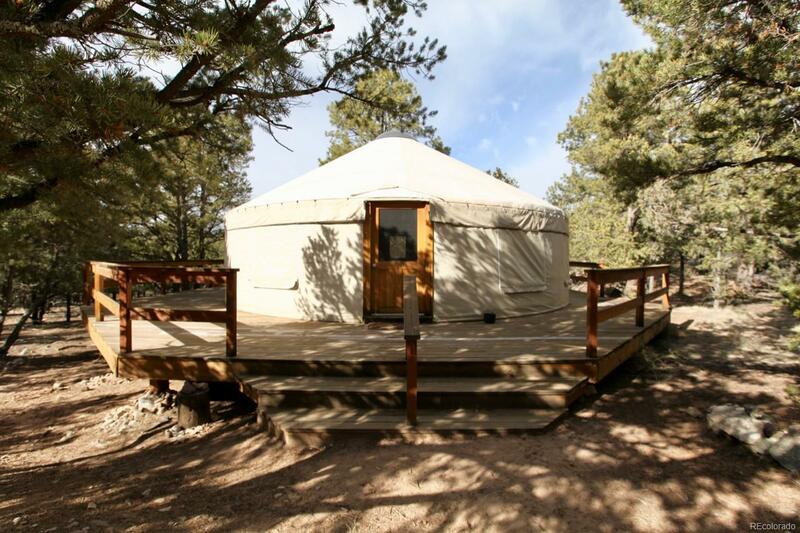 There is a very nice 33 foot yurt from the Colorado Yurt Company. It's about 10 years old and is in excellent condition. It's fully insulated and has the snow load package. Framed for glass windows, it comes with both plastic and vinyl coverings. Also has a stovepipe outlet, cork wood flooring and a 360 degree wooden deck. Would make a great weekend getaway or retreat cabin, or temporary living while you build a home. Just a short walk or bike ride to Crestone's business district with unique shops and restaurants as well as the K-12 Crestone Charter School. Electricity to the property line. The public water main is about 150 feet from the property line. 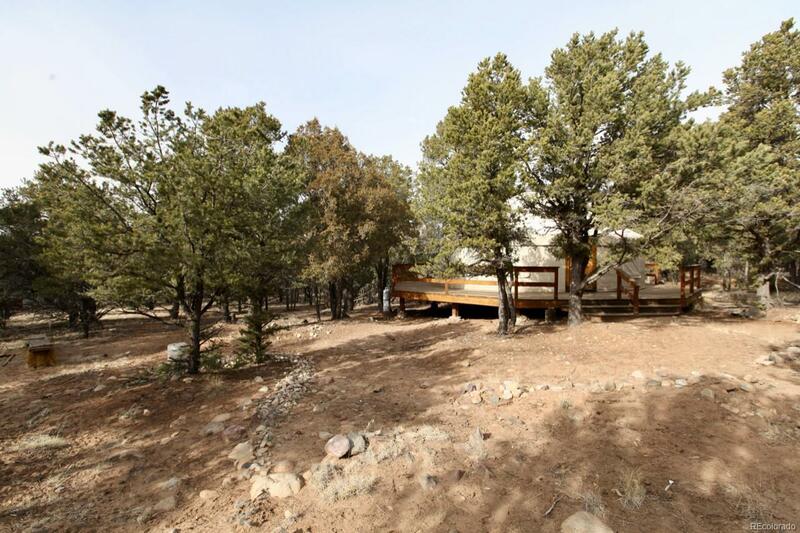 This property would likely qualify for a septic system, buyer to verify with the Town of Crestone. Corners are marked. No POA, HOA or covenants. Call today! Offered by Western Mountain Real Estate.